If you’re somehow reading all these travel posts in chronological order, you just finished my article on coming back to the USA from Asia. 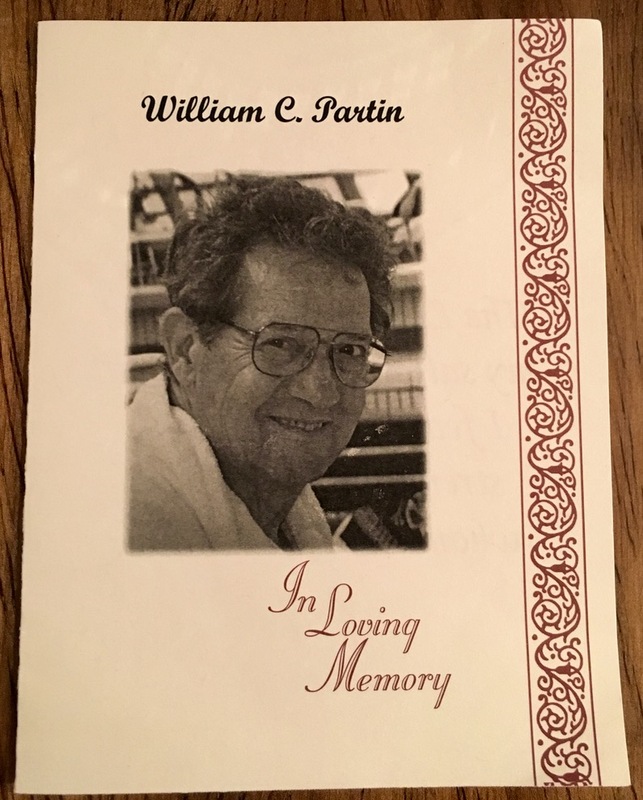 My father-in-law, Bill Partin, died on November 11, 2015. When we got the news from the nurse earlier that week that he didn’t have much time left, Beth quickly made plane reservations and flew with greatest speed to Kansas City, where Bill lived and where Beth grew up. She made it just in time, and he passed away just about 24 hours after she arrived. I followed behind by a few days, fast enough to make it to the funeral services, but not fast enough to see him alive one last time. I arrived in KC on Saturday the 14th, nearly delirious from travel fatigue. The viewing was on the 15th, at Muehlebach Funeral Home. Then there was a funeral service at the Saint Thomas More Church the morning of the 16th, and we laid him to rest at Mount Olivet Cemetery that afternoon. 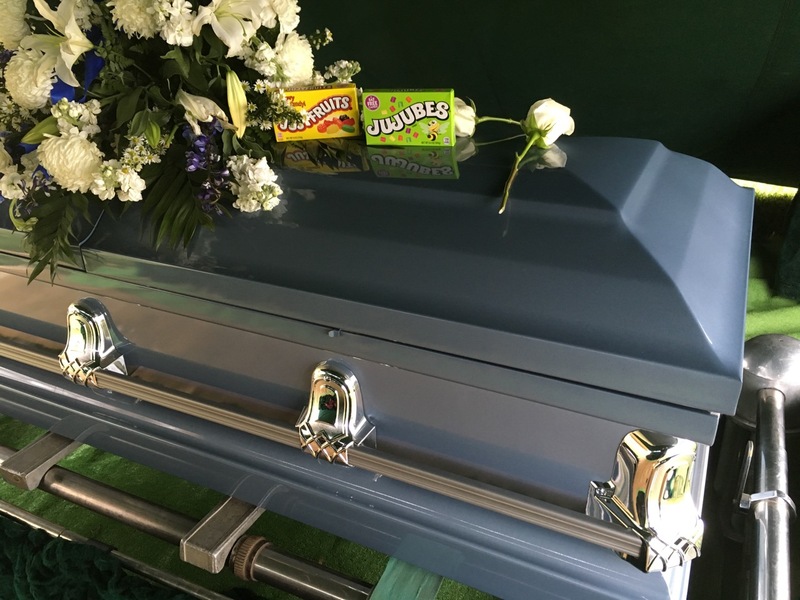 Somebody decided Bill should be buried with some of his favorite candies. All of Bill’s living children were there, as well as all of his grandchildren. It was quite a feat to get all these people to KC from all over; several were in southern California, one was in Hawaii, and one was in New York City. It was nice to see them all. Of course, everyone asked us, “What are you going to do now?” Beth and I hadn’t even had time to talk to each other yet about our travels, but people thought we must have some master plan figured out for some reason. Within a few days, as family activities dwindled off, we did have time to talk things over. We decided to return to Asia. My company isn’t expecting me back until mid-February, we have a travel insurance policy until then, and we spent literally years saving for and planning this trip. The approach we settled on was to pick up sort of where we left off, though not exactly. We would spend 30 days in India, and then 30 days in Thailand, and then return to the US. The first hurdle, though, was getting our Indian tourist visas. Of all the countries we’ve visited on this journey, India has the longest and most rigorous visa application process. It took us several days (not full time, but on and off) just to gather all the attachments and info they want, and that’s just for the “short form” e-TV application that is good for 30 days. They want to know such details as parents’ names, birthplaces, and nationalities, any identifying marks you have, what religion you are (no other country cared about our religion, but India makes you specify it to get into their country). And they also want a digitized version of your passport with very specific parameters, as well as an extra passport photo, which Beth ended up taking with her camera. We were notified that our electronic applications were accepted on Sunday the 22nd. So we bought airline tickets to get from Kansas City to New Delhi, and then from New Delhi to Bangkok. You’re supposed to have “proof of onward passage” to enter the country, which has been pretty common, though many countries haven’t actually checked. We don’t intend to spend the whole month in New Delhi, or in Bangkok, but those will be our entry/exit points. Meanwhile, I’m on my second week in Missouri. I’ve discovered a couple of really good coffee shops, caught up on some travel stuff like cleaning my camera and cleaning out my suitcase, eaten some good barbecue, written Christmas cards for my family, and resumed work editing a documentary film that I shot in 2007 and 2011. It was weird the first few days of being back in the USA, after being in southeast Asia a couple months. There are so many Americans everywhere we go! Yeah, duh, but it took me a while to get used to it. And it’s weird not being able to just go out the front door and walk somewhere close by to get some food. I guess that’s a suburbs-vs-city thing, really. And it’s so damned cold! How do people stand it here? Oh, and there is no traffic; in every city we visited in Asia, they’d fit 10x as many vehicles on the road as they do in Kansas City. Lastly, I don’t know if this is good or bad, but it didn’t take me very long at all to get used to driving on the right again. Anyhow stay tuned. If all goes well, I’ll have some more stories of our travels to tell you in about a week from now.